Every detail of the hotel's design has been meticulously chosen to valorise luminosity and create a calm universe in the middle of all the Parisian hustle and bustle. 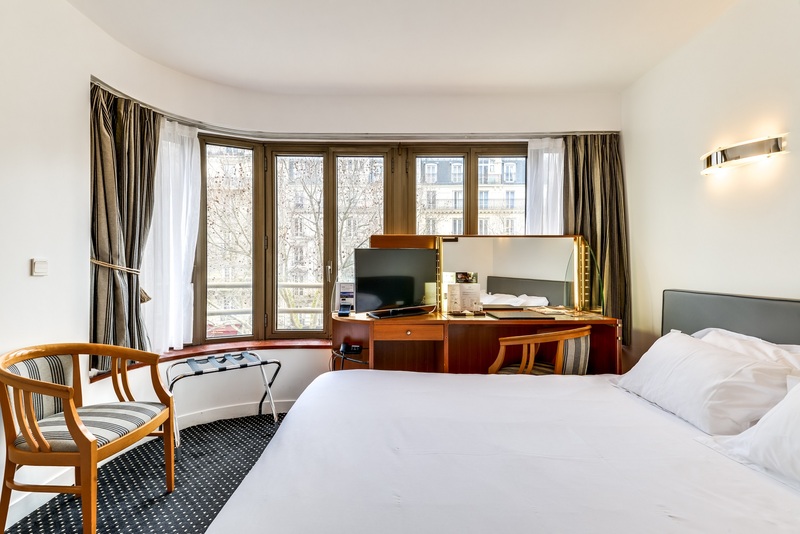 The rooms, perfectly soundproofed, overlook the Montparnasse District and represent a perfect compromise between the services of a contemporary apartment-hotel and the service of an upscale establishment, giving guests a lot of freedom to design their stay. If you prefer to have your breakfast in the privacy of a functional room rather than in the breakfast room, or if prefer cooking your meal in the comfort of your room, a kitchenette allows you feel at home. This air-conditioned and functional room offers a bathroom with a bath and a hairdryer. It features a flat-screen TV with satellite channels. A mini-bar and a kitchenette with refrigerator and microwave are also available. This air-conditioned room offers queen size bed, a satellite flat-screen TV and a marble bathroom with a bath and a hairdryer. A mini-bar and a kitchenette with refrigerator and microwave are also available. Their relaxing atmosphere inspires tranquility and rest. This spacious room is equipped with a 2 single beds, a minibar and a a kitchenette including refrigerator and microwave. 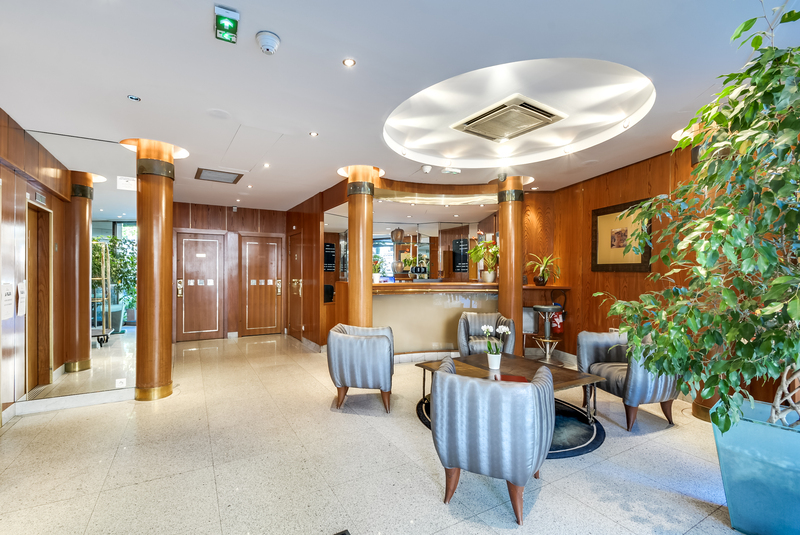 Perfect for colleagues on business trips or friends looking for an accomodation in the heart of Paris. Ideal for families or groups of friends, these air conditioned connecting rooms include free Wi-Fi connection, satellite television and a minibar. This room can be composed of 2 double beds or 4 single beds or 1 double bed and 2 single beds. It also offers a satellite TV, a kitchenette with microwave and a bathroom with bath and hairdryer.